This novel starts in a place where most romance books don’t, a wedding. It throw me for a loop. Weddings normally come at the end of the romance book, not at the beginning. I figured it had to be the type where the ending was mentioned at the beginning and then the rest of the story would tell what happened prior to that scene. But that was not the case. Once I got over the strangeness of the first scene being a wedding I was able to focus on the book as several of the characters were being introduced and a bit of background was being laid down. While I did enjoy the characters in this book, all of which were well developed both personality and background wise I did have an issue with one of them. Madison, the four year old girl, in my opinion spoke far too clearly and advance for her age. Perhaps the author just didn’t feel the need to add in a true child’s touch to her voice, but it felt wrong to me. I realize every child is different and some talk clearly sooner than others, but in my experience a four year old is never that clear and concise when it comes to talking. There should be the odd broken sentence, misplaced words and often simpler words used. I have a five year old son and there have been many occasions where I and others had no clue what he said just because of the odd speech patterns children have, and Madison exhibited none of these. Honestly the more I read the book, especially those parts involving Madison the less I believed she was a four year old. She was more like a six or seven year old in the way she did things and spoke. I found it slightly distracting, if you are going to put a young child in your book make sure they act according to that age. Yes that may cause some difficulties for both author and reader but it makes things feel more real. When finally there was a moment when Madison struggled over a certain phrase, repeating something that Hutch had said, it felt a bit too late to show that she was truly a child and therefore not capable of speaking clearly and using certain words. If the author does not want to put the time in to get children properly portrayed in a book then perhaps they shouldn’t bother having them present. That is simply my opinion. There is a strong sense of family throughout this book, which is quite often present in western romances from what I have seen. This makes sense as ranching, a theme found in many western romance novels, is a family affair, pasted down from generation to generation. That being said, I felt there was a bit too much of a focus on Madison for it to feel like a romance novel. Yes, she is an important factor to the romance developing, or in this case rekindling, but it didn’t feel right. There should have been more between Kendra and Hutch other than Madison who seemed to play the role of unknowing matchmaker. At this point, which was close to the halfway mark I felt there wasn’t enough interaction between Kendra and Hutch. There is usually the slow building of something such as looks between then (be it small glances or passion/lust filled gazes), those touches that ignite their skin at the mere contact and make their heart beat fast. Something, anything! But alas it was not the case. But I knew it would come at some point so I kept reading. At this point, I’ll be honest with you, I started skimming the pages just to get through it. There was so much attention on Madison and her dog and tiny details that didn’t mean anything to the story as a whole – like when Kendra order a chocolate croissant and a double-tall nonfat latte. Really?! I don’t care about that! Focus on the reason behind the story, not minor details that leave the reader bored and tempted to put the book down. Some people may find Madison to be a cute addition to the book, but I just found her presence frustrating at nearly every turn. I felt in a way she was the Jar Jar Binks of this book, interrupting things, not an appealing character and only ended up taking away from the story as a whole not adding to it. It could possibly be that I’m not accustomed to children in books or the way Madison is portrayed, but at this point I felt that the book would have been so much better, if not moving along at a faster pace, if she wasn’t in it. Honestly at this point I can’t even tell you what the story is about, I had thought it would be a cowboy romance with a fun twist the Kendra and Hutch were old lovers that fell apart a while ago, but now I’m sitting here scratching my head trying to figure out what the story is telling me. There’s a kid, a dog, a woman, a man and a few other minor characters that keep popping up, but nothing a real significance has happened as far as I’m concerned. There’s also a new dog now and I have a bad feeling it’s just going to be another distraction to the actual story. The rodeo part of the book was what I had been looking forward to since it was mentioned earlier on, but like most of the other things in this book I found it highly disappointing. There was more attention on their shopping, eating and playing the games then there was on the actual rodeo event. But at least afterwards there seemed to be some leading up to a romance part, yet I was worried I’d only be left disappointed once more. The good news is, I wasn’t completely disappointed in what happened next. Finally they let their passion take hold. And it was about bloody time, especially since it was coming dangerous close to the end of the book at this point. The ending was good, though quite what I expected to happen with this story. Everything was quite predictable. Good though the ending may have been it didn’t make up for the rest of the book which just dragged out everything to an agonizing level. You could easily skip 80% of this book and still get the whole story in what was left. If you are looking for a romance novel full of cute fluff and more focus on family and random details than anything else, with a small side of romance then this book is for you. Otherwise I’d say this book can easily be skipped as it left little impression on me. Overall: The characters were not that great, and Madison especially ruined things for me. The romance was far too slow moving. There were too many other things going on to distract from the main story, if there even was a main story. Part like the rodeo and ranch life were severely under researched. For example, a cowboy would not ride the bulls only once a year and end up winning. Rodeo is not a casual hobby that they do, it’s a full time commitment and the fact that it was portrayed so casually really bothered me. They could have done that same rodeo scene at a fair ground instead, simply cutting out that tiny bull riding scene, and it would have felt more believable. 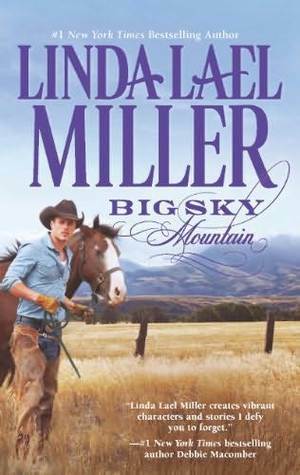 So if you are looking for a rodeo/ranch setting love story, this is not the book for you. If you want a slow paced story about family with small hints of other things then you just might enjoy this book.